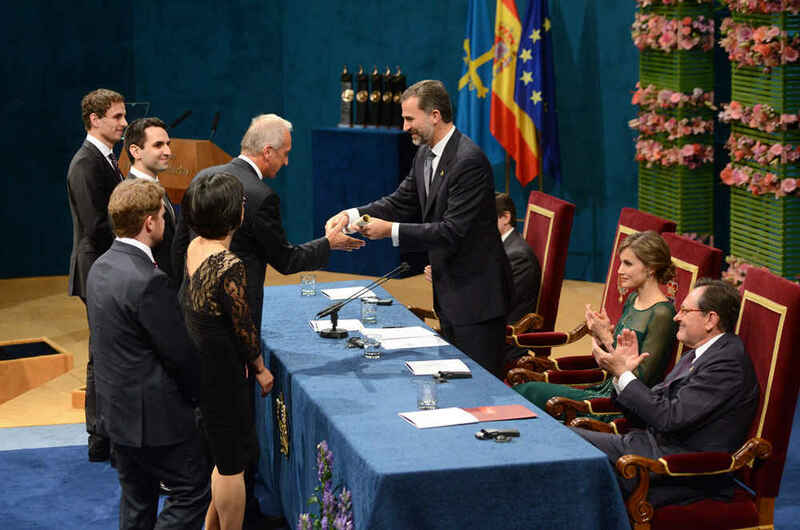 2013 Prince of Asturias Awards Presentation Ceremony Antonio Muñoz Molina during his speech at the Awards ceremony. 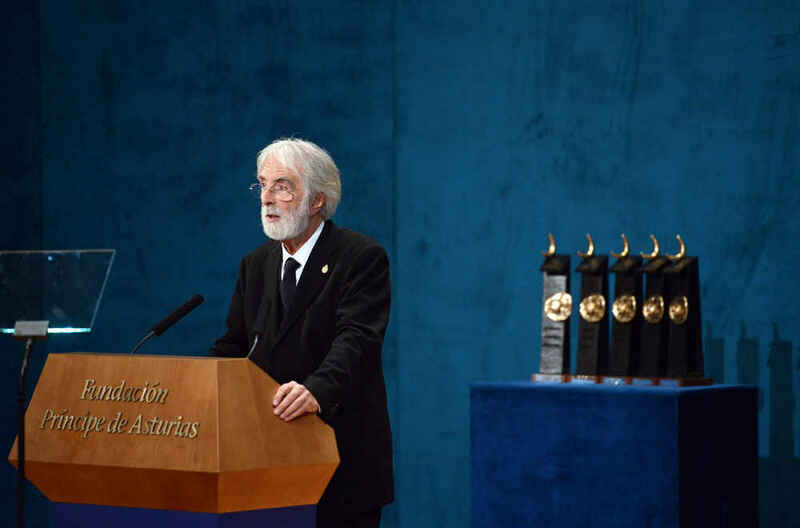 2013 Prince of Asturias Awards Presentation Ceremony Michael Haneke giving his speech at the Awards ceremony. 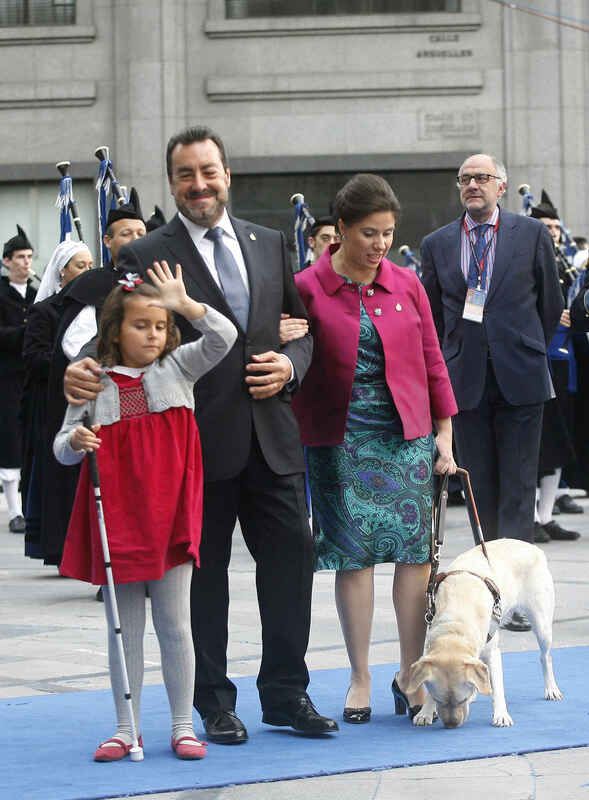 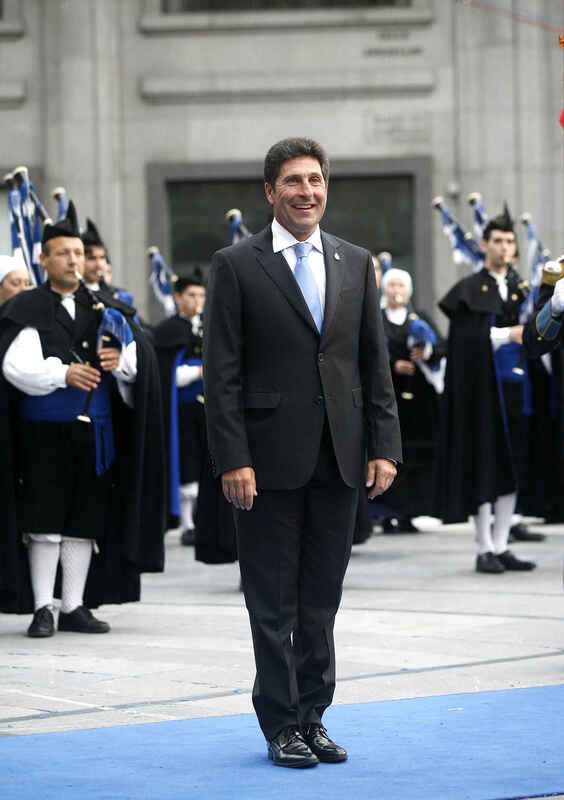 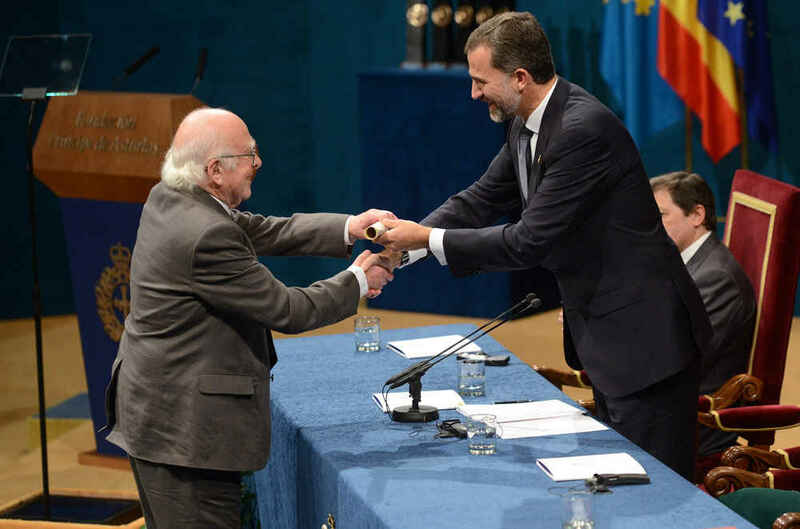 2013 Prince of Asturias Awards Presentation Ceremony Antonio Muñoz Molina arriving at the Campoamor Theate. 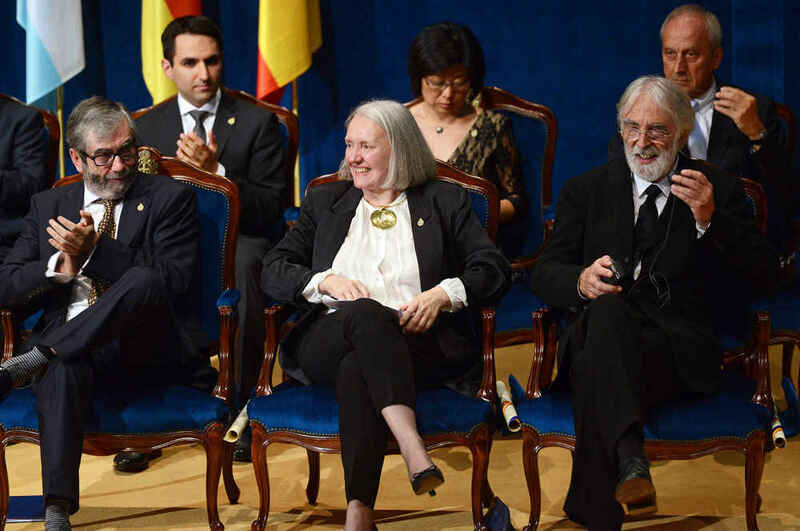 2013 Prince of Asturias Awards Presentation Ceremony Annie Leibovitz, prior to entering the Campoamor Theatre. 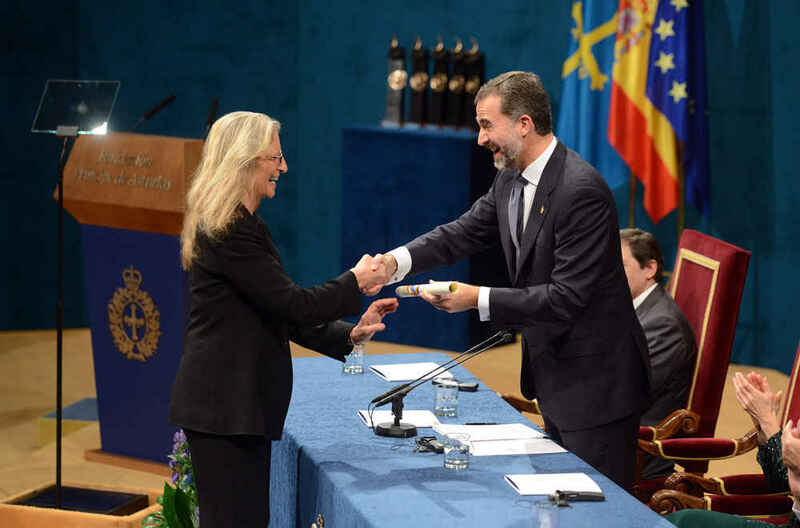 2013 Prince of Asturias Awards Presentation Ceremony Annie Leibovitz receiving her award from HRH the Prince of Asturias. 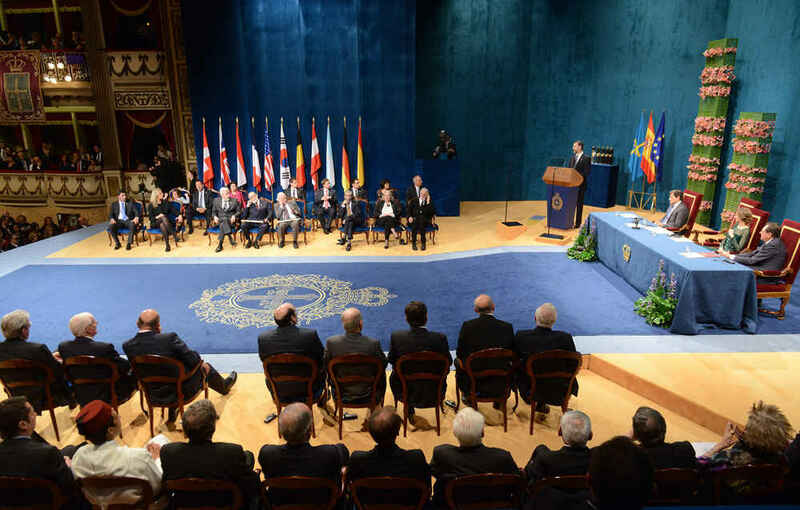 2013 Prince of Asturias Awards Presentation Ceremony 2013 Prince of Asturias Awards Ceremony in the Campoamor Theatre, Oviedo. 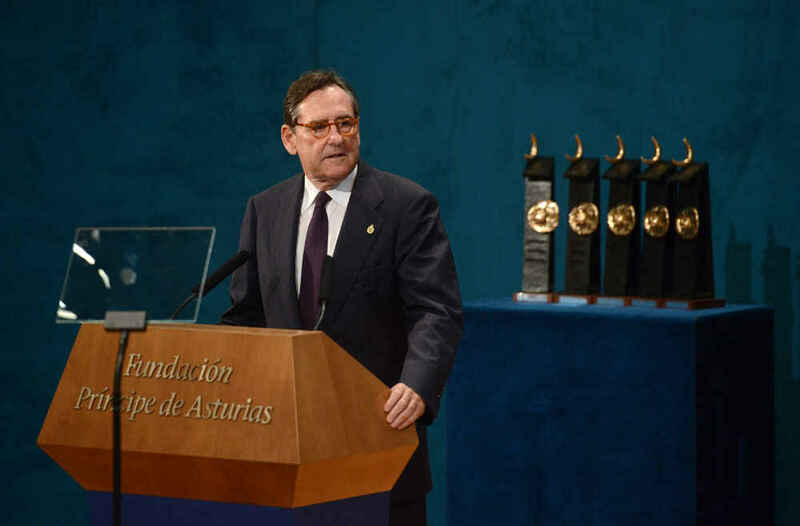 2013 Prince of Asturias Awards Presentation Ceremony Matías Rodríguez Inciarte, President of the Prince of Asturias Foundation, giving his speech at the ceremony. 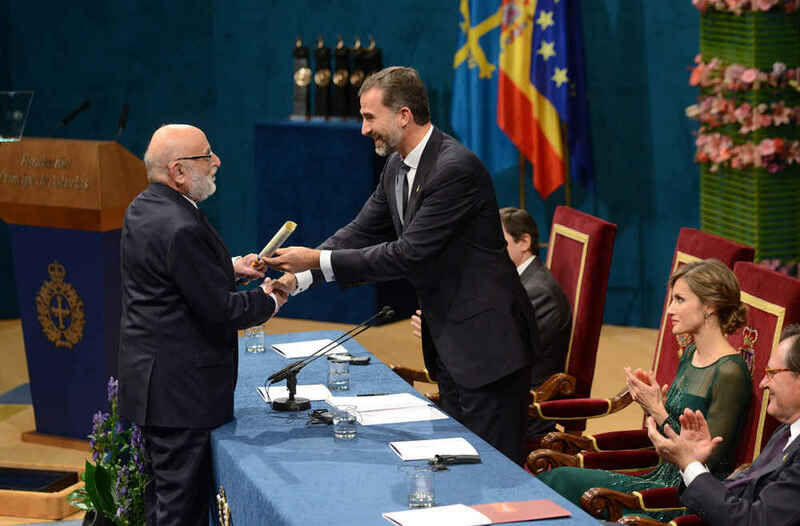 2013 Prince of Asturias Awards Presentation Ceremony José María Olazábal, Prince of Asturias Award for Sports, receiving his award from HRH the Prince of Asturias. 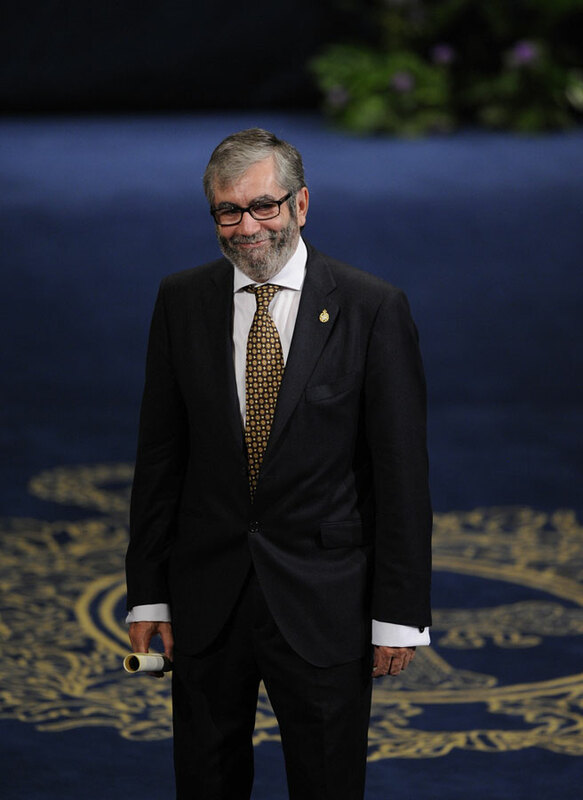 2013 Prince of Asturias Awards Presentation Ceremony José María Olazábal, just before entering the Campoamor Theatre. 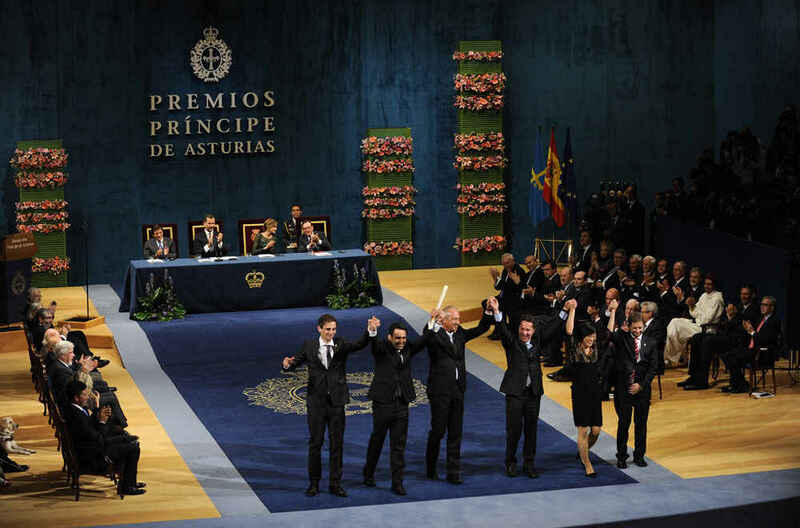 2013 Prince of Asturias Awards Presentation Ceremony HRH the Prince of Asturias presenting the award to Antonio Muñoz Molina. 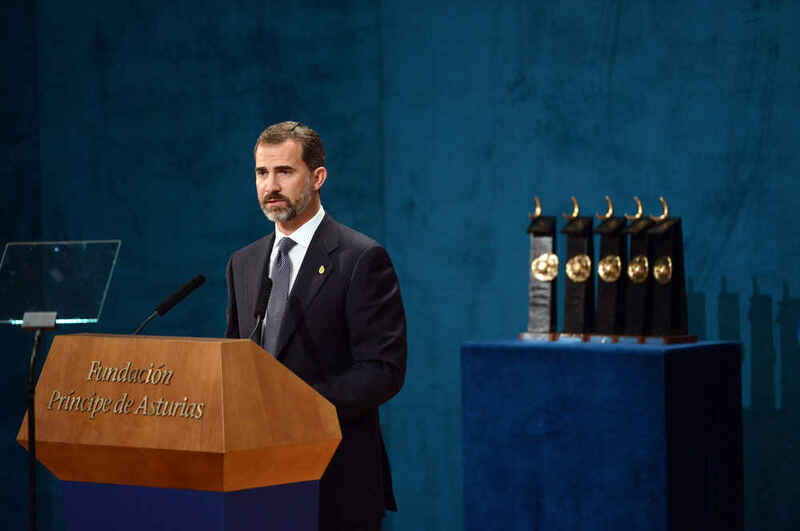 2013 Prince of Asturias Awards Presentation Ceremony HRH the Prince of Asturias during his speech at the Awards ceremony. 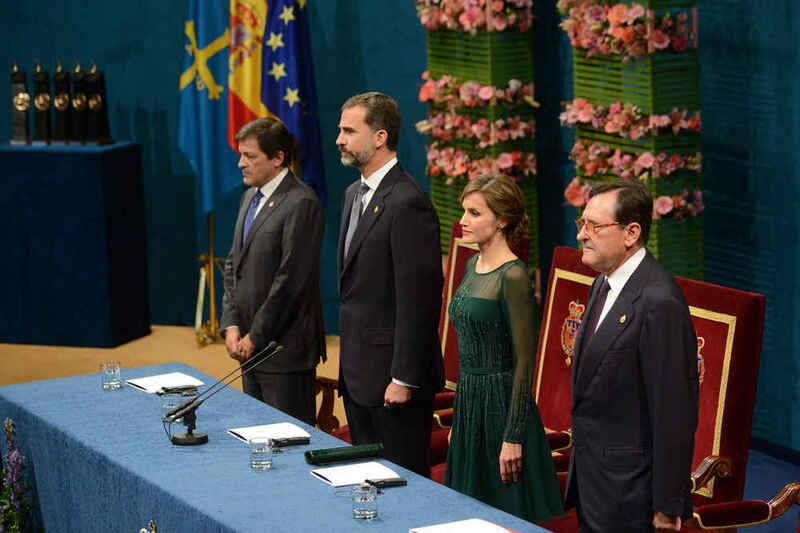 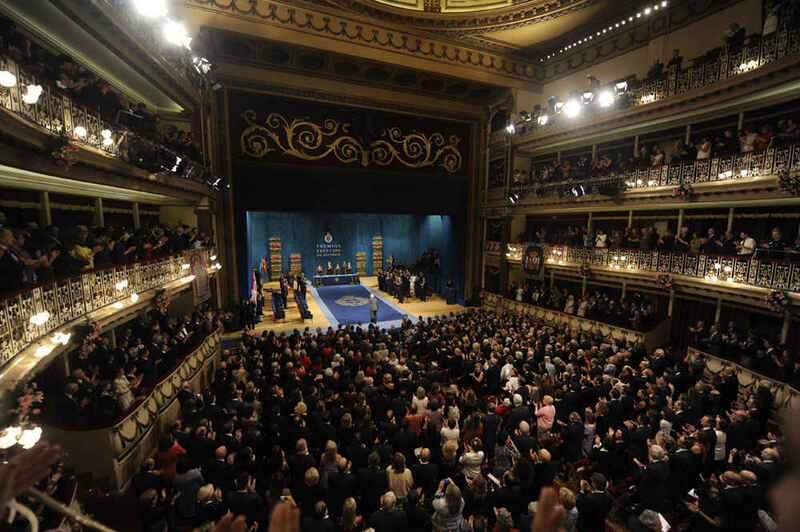 2013 Prince of Asturias Awards Presentation Ceremony Arrival of the Laureates at the Campoamor Theatre. 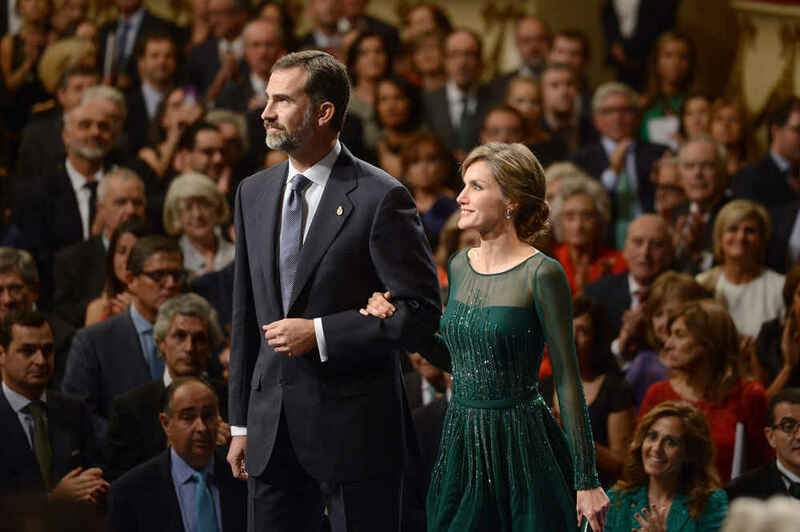 2013 Prince of Asturias Awards Presentation Ceremony Arrival of TRH the Prince and Princess of Asturias at the Campoamor Theatre. 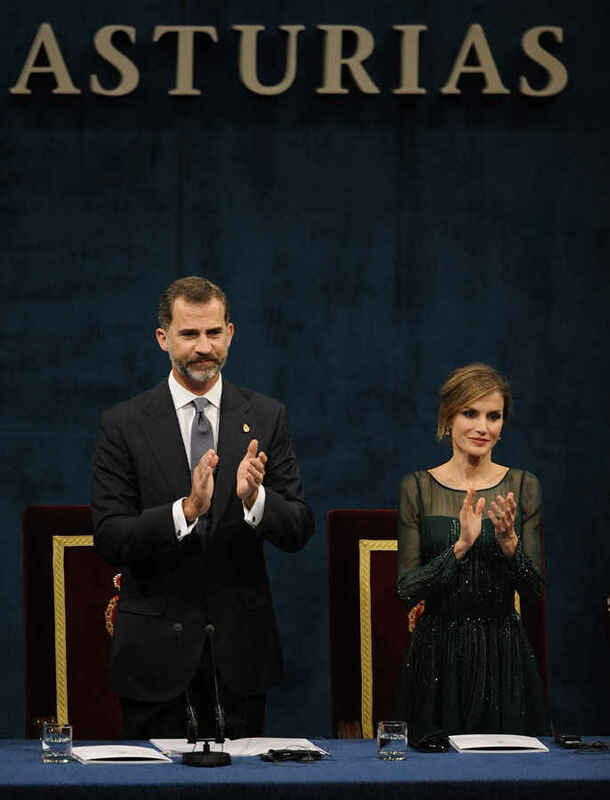 2013 Prince of Asturias Awards Presentation Ceremony Arrival of Her Majesty the Queen and TRH the Prince and Princess of Asturias at the Campoamor Theatre. 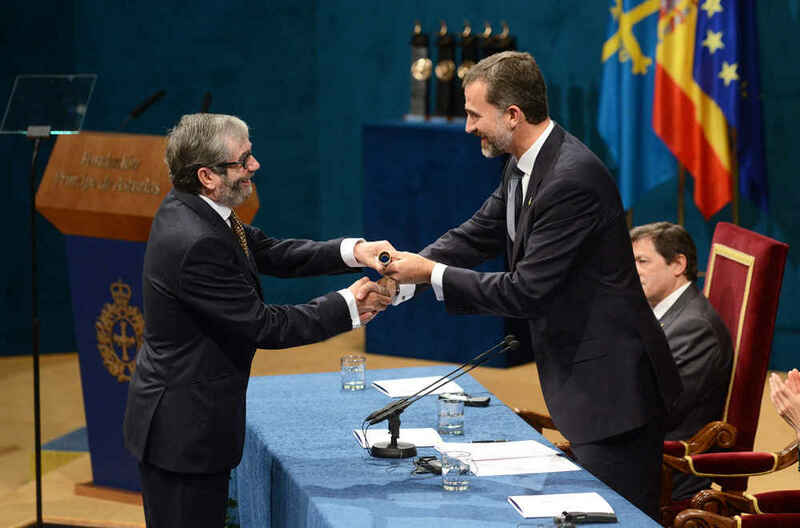 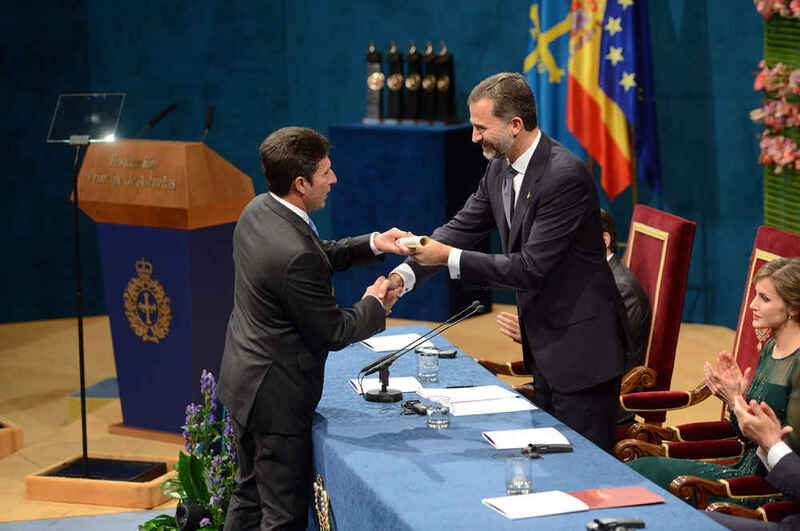 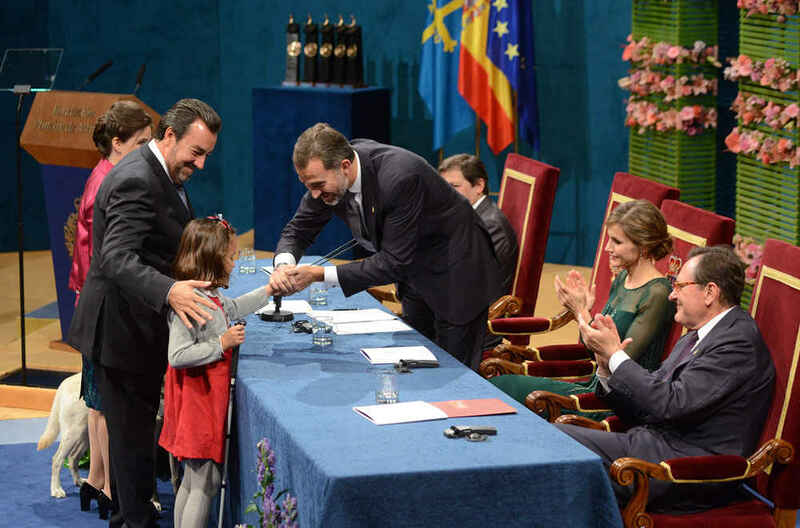 2013 Prince of Asturias Awards Presentation Ceremony Miguel Carballeda, President of the ONCE, receiving the award from HRH the Prince of Asturias. 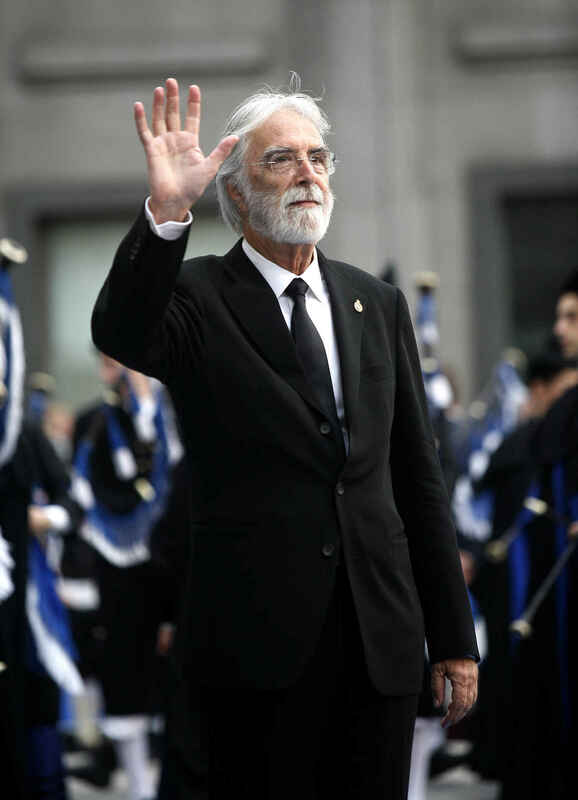 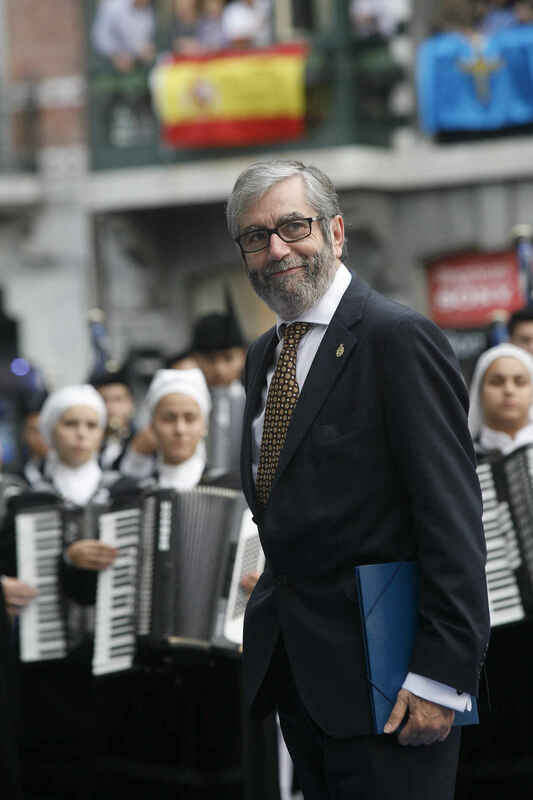 2013 Prince of Asturias Awards Presentation Ceremony Michael Haneke, arriving at the Campoamor Theatre, Oviedo. 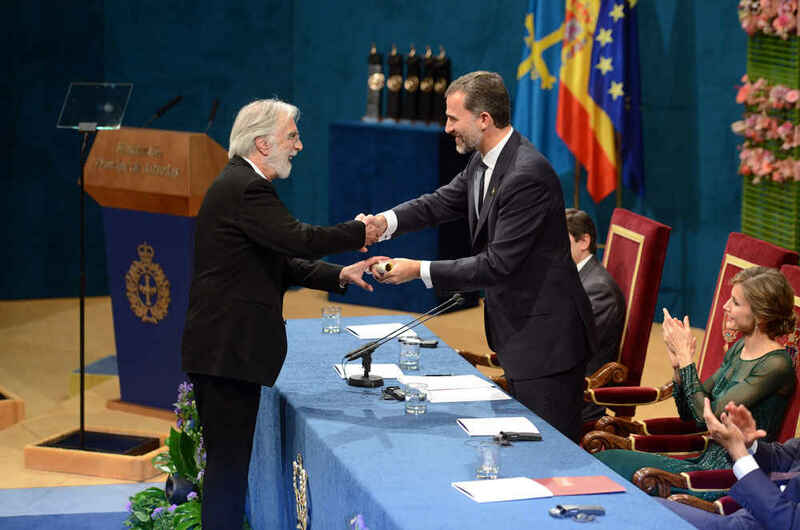 2013 Prince of Asturias Awards Presentation Ceremony Michael Haneke receiving the Prince of Asturias Award for the Arts. 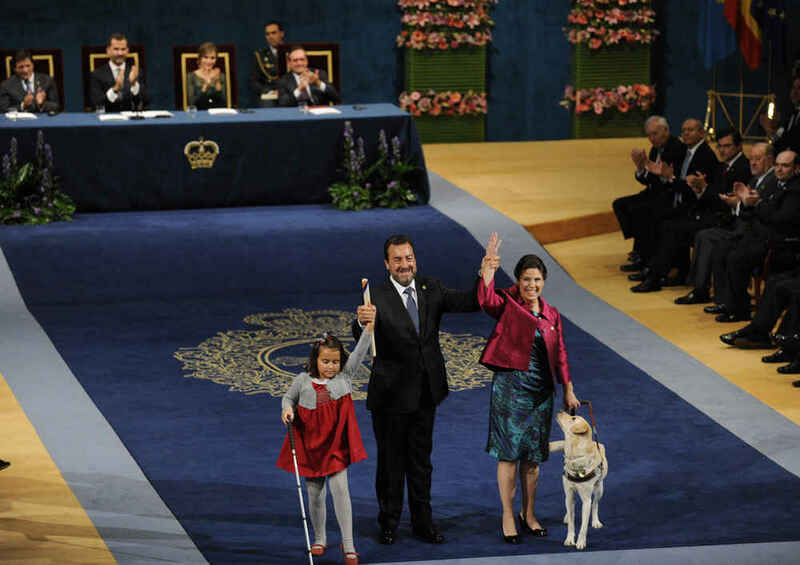 2013 Prince of Asturias Awards Presentation Ceremony The representatives of the Spanish Organisation for the Blind (ONCE) arriving at the Campoamor Theatre. 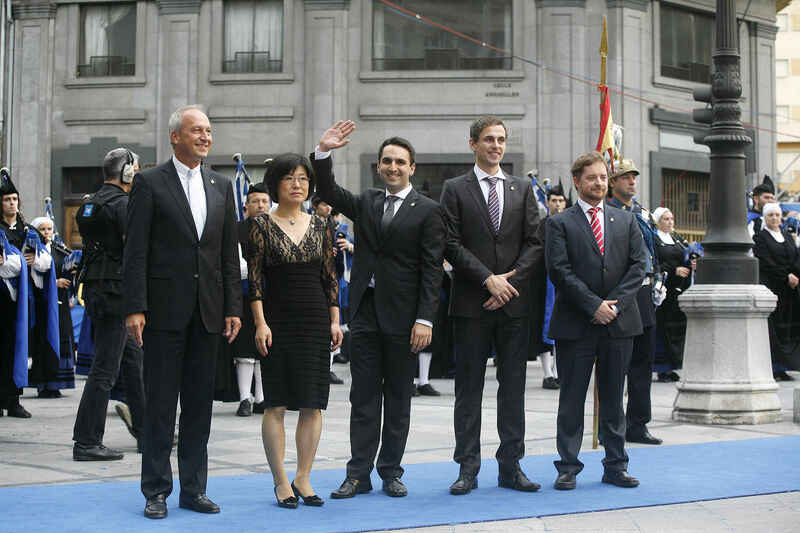 2013 Prince of Asturias Awards Presentation Ceremony The representatives of the Max Planck Society for the Advancement of Science arriving at the Campoamor Theatre. 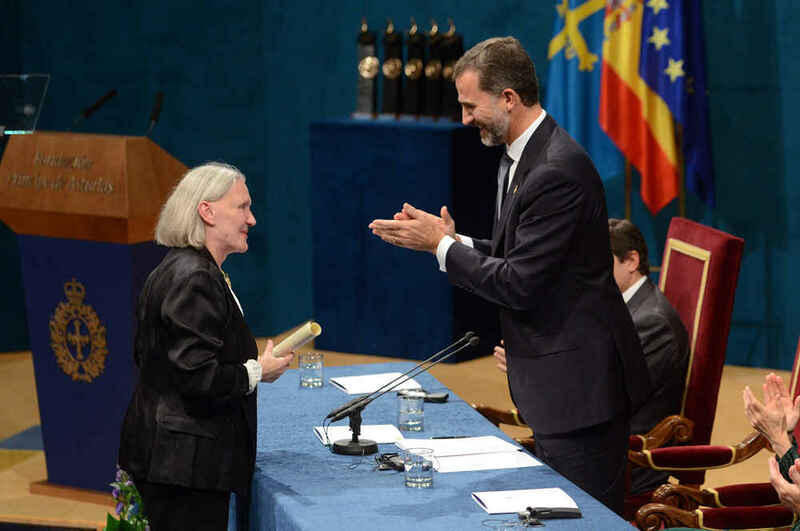 2013 Prince of Asturias Awards Presentation Ceremony Saskia Sassen receiving her award from HRH the Prince of Asturias. 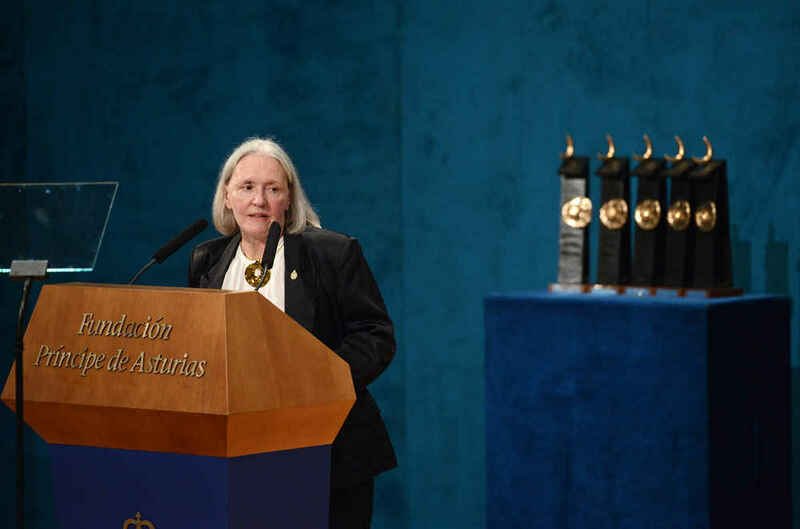 2013 Prince of Asturias Awards Presentation Ceremony Saskia Sassen during her speech at the Awards ceremony. 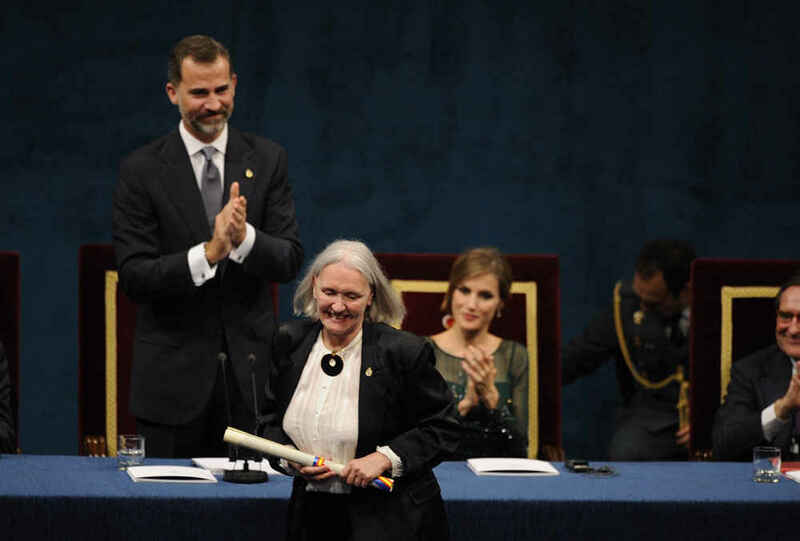 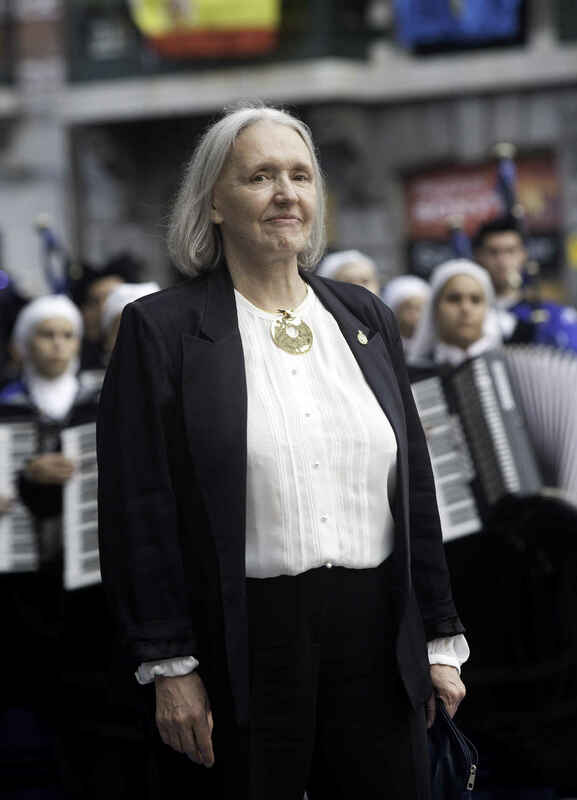 2013 Prince of Asturias Awards Presentation Ceremony Saskia Sassen about to enter the Campoamor Theatre. 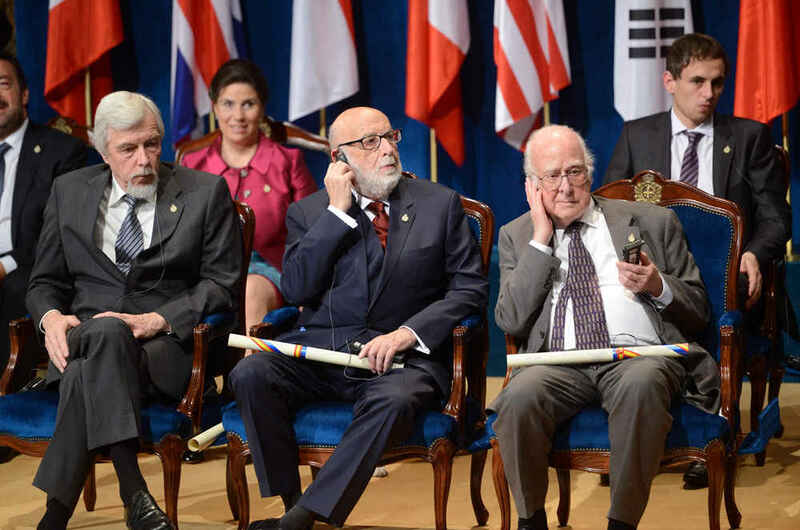 2013 Prince of Asturias Awards Presentation Ceremony Peter Higgs, François Englert and Rolf Heuer, Award for Technical and Scientific Research, receiving the award from HRH the Prince of Asturias. 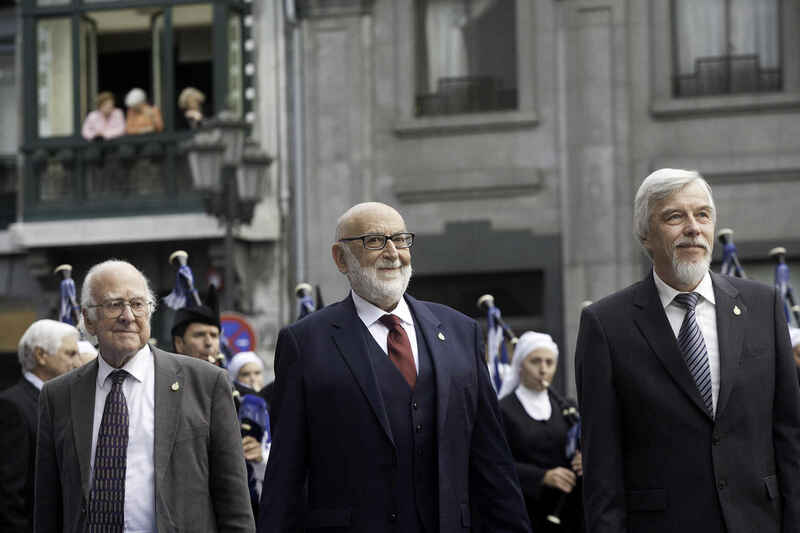 2013 Prince of Asturias Awards Presentation Ceremony Peter Higgs, Francois Englert and Rolf Heuer arriving at the Campoamor Theatre. 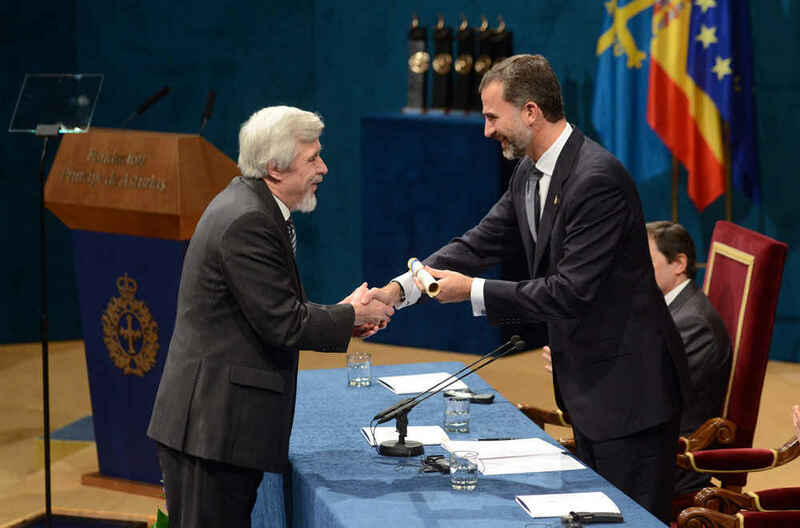 2013 Prince of Asturias Awards Presentation Ceremony Peter Gruss, President of the Max Planck Society for the Advancement of Science, receiving the award from HRH the Prince of Asturias. 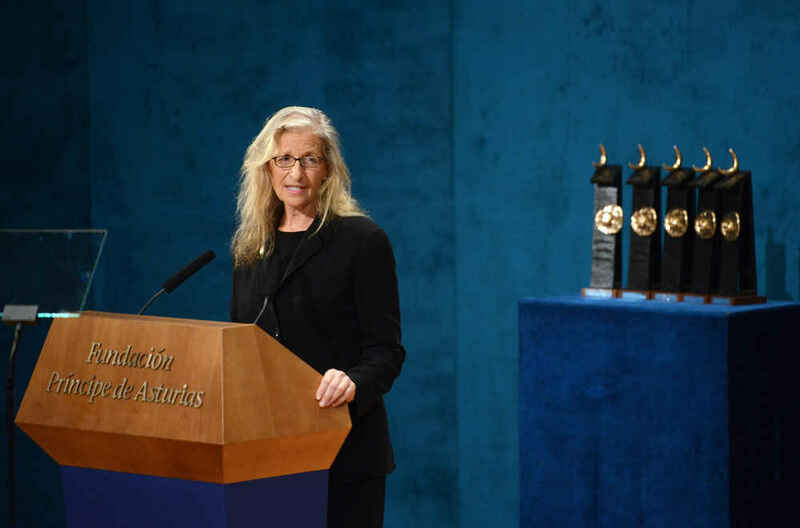 2013 Prince of Asturias Awards Presentation Ceremony Annie Leibovitz during her speech at the Awards ceremony.